DETECTIVES trawled through a total of 160 individual pieces of CCTV footage as they attempted to track the movements of the men allegedly involved in the murder of David Douglas, a trial has heard. 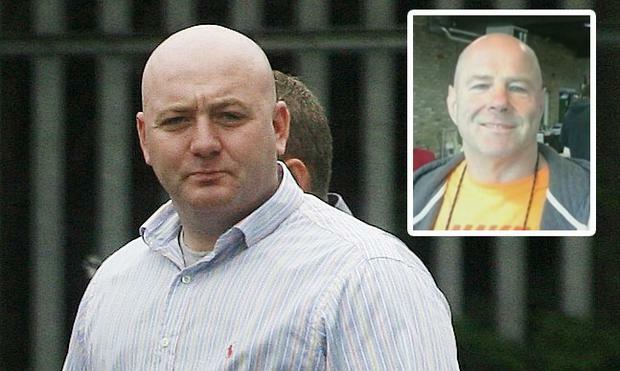 Freddie Thompson (37) is alleged to have been the driver of one of the four vehicles central to the garda investigation. A forensic scientist told the Special Criminal Court that DNA matching Mr Thompson’s DNA was found on an inhaler in a Mitsubishi car. DNA matching Mr Thompson’s was also found on an air freshener and on hand sanitiser found in a Ford Fiesta. Gardai have alleged that four vehicles were used in the murder of Mr Douglas - a silver Mercedes, which was the “murder vehicle”, a silver Suzuki Swift, a blue Mitsubishi Mirage and a silver Ford Fiesta. The Mercedes was found burnt out at Spitalfields shortly after the killing, and it is alleged that the Suzuki was the ultimate getaway vehicle. This morning, Garda Ciaran Byrne led the judges through CCTV footage, taken on the morning of July 1, 2016. He said CCTV footage showed a silver Ford Fiesta followed by a silver Suzuki Swift travel along Fortfield Road, Dublin 6 at 9.45am. Gda Byrne said the same Ford Fiesta travelled along Terenure Road West, Kimmage Road Lower, Parnell Road and on to Lullymore Terrace, again followed by the Suzuki. The CCTV footage was taken from numerous garages as well as apartment complexes, a post office and an industrial estate, the court heard. At 9.59am, the Fiesta is shown heading along Donore Avenue, Dublin 8. The Suzuki is no longer following the Fiesta, and gardai believe it was parked up on St Anne’s Road. At 10.41am, CCTV footage taken from the Whiteswan Industrial Estate showed the Fiesta driving along Merton Avenue and turning into Sandford Avenue, Dublin 8. A male, wearing a red top and light tracksuit bottoms, and later identified as Mr C, gets into the passenger seat of the Fiesta. The silver Fiesta then stops at the Timgad shop on South Circular Road and Mr C gets out of the passenger seat and goes into the shop. Gda Byrne said Mr C is wearing a “man bag”. He comes out of the shop and walks in the direction of Dolphin’s Barn. A man matching Mr C’s description is later seen walking along Merton Avenue, where he stops at a pay and display machine. Gda Byrne will continue to give his evidence this afternoon. Earlier, forensic scientist, Sarah Fleming, said she conducted a DNA analysis of items taken from the scene of the shooting as well as from four cars, which were part of the garda investigation. Ms Fleming said that Mr Thompson’s DNA was found on an inhaler in a Mitsubishi vehicle. She said there was less than one in a hundred million chance that the DNA came from someone unrelated to Mr Thompson. A second man’s DNA, known as Mr F, was also found on the dashboard of the Mitsubishi, Ms Fleming told the court. Mr Thompson’s DNA was also matched the DNA found on an air freshener and on hand sanitiser in the Mitsubishi. In her evidence, State Pathologist Professor Marie Cassidy said that she conducted a post-mortem on David Douglas on July 2, 2016. Prof Cassidy said Mr Douglas was fatally injured after he received gunshot wounds to the head, neck and trunk. Prof Cassidy said that one or both parties were moving during the incident. She said that Mr Douglas received six gunshot injuries, to the right side of the face, the left side of the chin, the left side of the neck, the right upper chest, the left side of the back and the right elbow. Five of the bullets exited Mr Douglas’ body. A sixth bullet, which entered Mr Douglas on the left side of his back and went through his spine, was found resting in his trunk, and was removed during the post-mortem. Prof Cassidy said that the injuries to Mr Douglas face would have caused concussion and his rapid collapse. He would also have had trouble breathing, as his airways were obstructed by blood and inhaled vomit.